Turn your backyard into an adventure park! 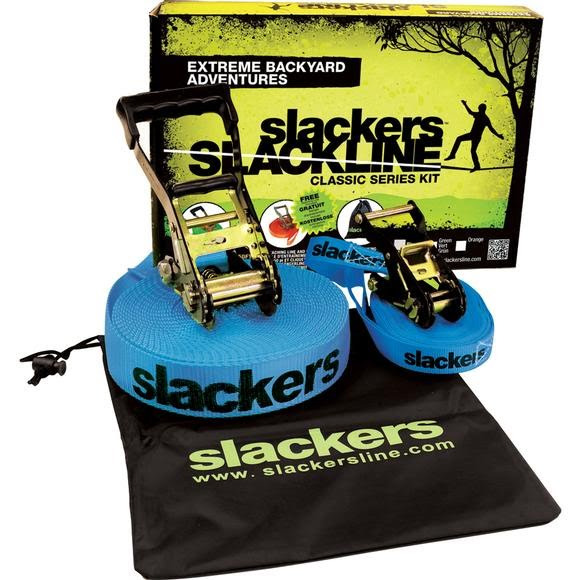 Most people agree that Slackers slackline kits are one of the most exciting new items that you can put in your backyard for hours and hours of enjoyment. Slacklines help improve core strength, and balance all while walking just a few feet off the ground. Follow the directions and your slackline will be set up in 10 minutes. Assorted colors- Blue, Green, and Orange - For specific color selection, please call our customer support at 1-800-800-5083.